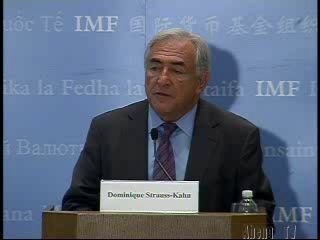 Dominique Strauss-Kahn, Managing Director of the IMF. The International Monetary Fund (IMF) warns rising oil and food prices are having a negative impact worldwide, especially in developing countries where extreme poverty is growing. While higher prices are reducing people’s living standards in advanced countries, an IMF study reports they are having a more extreme effect in developing economies – where the typical household is now spending more than 50 percent of their annual income on food.